There’s always some sort of new scam working it’s way across cyberspace. As a blogger, I have to pay close attention because I’m constantly getting emails from people wanting to buy all of the ads on my page or wanting me to review their product or join their network or just trying to scam me! Some emails are legit and many are not! And that’s when the thought entered my mind to write a post entitled Scam Alert! My mama always taught me that “If it looks too good to be true, it probably is,” and I always err on the side of caution when dealing with people I don’t know. But what really surprised me was the extremely large number of people who are scammed because they are just too trusting, gullible or both. So I decided to help by exposing some scams I’ve seen lately. A few weeks ago I received an email from someone claiming to be Crystal Light’s Head of Advertising. It was very professional looking and, of course, they loved my blog and wanted me to have my car wrapped in an advert for Crystal Light for 12 weeks. I would be paid $500.00 every two weeks for a total of $3,000.00. The first payment would include a check made out to me for $1,900.00 and delivered by priority mail. I would deposit it into my bank account, keep $500.00 (for my first two weeks) and send $1,400.00 to the graphic artist to wrap my car. The Scam: They want you to deposit the check and wire the money to the “graphic artist.” Then the check bounces and you are out $1,400.00. When I heard the entire pitch (here a little, there a little, email by email, as I strung them along) I actually asked him (or her) if they thought I was a complete idiot. Got ya, you scammer, you! That was the end of our conversations. But when I Googled the scam, I was heartbroken to read reports of people who had lost thousands of dollars to those bozos! OK, this one is so funny that I can’t believe for one moment that anyone would get suckered into it. My husband received a call on his cell the other day and he answered without checking the caller ID. A woman, with a weird accent, said, “Mr. Smith, you have won 4.5 million dollars from Publishers Clearinghouse! We are on the way to your house. We are 40 minutes away! Can you be home in 40 minutes to claim your prize? You just have to do one thing before claiming your prize. You must pay 1% of the 4.5 million in order to claim your prize.” I bet the real Publishers Clearinghouse hates this scam, too. It’s sad that so many people fall for that nonsense! Daughter #3 and her boyfriend are into kayaking and the boyfriend is looking for an older Jeep Wrangler to haul the kayaks they are planning on purchasing. After looking through Auto Trader, he found a great deal in Athens, Ga (Go Dawgs) and it’s only about 4 hours away, so he called to see if it was available and when he could see the car. The guy (posing as a military guy) said he had just been transferred and to see the car, my daughter’s boyfriend would have to send a large deposit to an exchange company and the Jeep would be shipped to his door so that he could test drive it. Yeah, Uh Huh! I have some prime swamp land in Florida . . . Daughter #2 found a great deal on a camper on Craig’s List. Yep, it was too good to be true and another scam! And the list of scams go on and on and on! And scammers are getting more sophisticated. Here’s some tips on spotting a scam from a mile away! 1. There is usually something a little “off” about the email or the phone call. Usually some of the wording is off. That’s a red flag! Some words in the Crystal Light email that should have been plural were not and some of the words were not used in the correct context. I knew whoever was writing the email did not have a complete grasp of the English language. 2. You are required to send money! Legitimate companies that are giving you a prize will never, ever, ever, ever ask for money! Remember: you are winning the prize, not them! Money is always involved in a scam! Your money headed to their pocket! You should never have to pay money to win a prize or to advertise for someone. 3. If someone tells you that you have the winning ticket and you didn’t buy a ticket, it’s a scam! 4. Never give out your credit card information or any personal information based on an email or phone call! The scammer is trying to steal your money and/or your identity! 5. There’s a sense of urgency! Yeah, they want your money before you have time to realize that it’s a scam! Always remember, if it sounds too good to be true, it probably is! Have you ever been scammed? Do share! The more aware we become of scammers, the less money they can steal! This is such a great post! I think SO many people get taken because we “want” people to be good like we are!! Hopefully people will learn, but in the meantimie, thanks for posting! These scammers and scams are relentless. I wish people would just stop with the foolishness of it all. I get weird emails and calls about winning this and that. If Im in the mood, I’ll string them along as well. As a general rule, I don’t give out info over the telephone at all. Great rule, Reginia! I don’t give any info over the phone, either! So scary! We get crazy phone calls all the time from people saying we won money. I’ve also received shady emails but I usually just delete them. Thanks for raising awareness. That’s why I love Google! I Google about the companies before I respond to their emails. I’m getting a lot of work from home scammers contacting me, especially that WAKE UP NOW scam that people keep trying to recruit me to. Great tips Alli! Great list of tips! I always Google too when I get requests. And craigslist scares me, but I know more and more people are using it instead of the classifieds. Great post!! It is so sad how many people fall for these scams and lose their money. It’s saddening. Yet, it infuriates me that people do this to others instead of just getting a legitimate job. I used to be too trusting (though I never got taken by scam which is all the Lord’s protection upon me), but my husband (who’s a skeptic when it comes to things like this) has taught me a lot. Thanks for the great post!! That’s scary. I always tune into my intuition & can usually tell right away when somebody is trying to scam me. It’s better to pass up an “opportunity” when you have that feeling than to get caught up in a legal battle. So true, Renee! I always get that feeling in the pit of my stomach that causes me to step back and take a long look. Thank you for this! I get several emails that are scams each week! It really amazes me that people still fall for these things! I guess some people want to believe that they are actually getting a windfall, so they ignore all of the signs of a scam! And others are just way too trusting. Awesome Post Thanks! I’ve had My share of People Trying to Scam Me and the most recent Today) is a Man calling Me from the State Department but His English is Bad that he can hardly get the words out to Scam Me…Sad that there are People who trust these Con Artist and end up losing their money. Yeah, I go by the advise “If it looks too good to be true, it probably is” too, also if someone or something is to friendly, it is probably not friendly it all. Although I have never been scammed before, I will say that unfortunately, scam artists are pretty clever. Some e-mails I get seem so legitimate until I realize one or two things are off. Great post and reminder for us all! Scammers are getting better and more sophisticated. We really have to stay on top of things. You would think #3 would be enough of a sign that it’s a scam but people do fall for it. I get SO frustrated with scams..who has time for that?! This is a great post. Whether someone knows what to look for or not, this is a reminder to be vigilant. The Crystal Light one is very scary! I have older relatives I wish I could get to read this post and take in the good advice! My heart goes out to the elderly. They are probably scammed more than others because they actually believe that people are who they say they are. Alli, I wish I could stand on roof tops and scream this information out to people AND they would listen! My dear friend who is 90, was recently scammed. They wanted him to send money. He was actually going to do it!!! My husband and I begged him not to do it! Our local BBB asks folks to send all of the scam info to them so it can be properly investigated. My daughter recently discovered that her ATM card had been compromised. Fortunately, she caught it immediately and was not out any money. The criminal’s had placed some online purchases using her card. They had these purchases shipped to a Fed Ex shipping store where folks can rent a ‘mail box’. Our local BBB rep said that the folks who go and pick up such packages from those mail boxes have accepted a ‘to good to be true’ job and generally figure it out very quickly. There is no end to the scams out there! The elderly are so gullible because they expect everyone to be who they say they are and because they are trustworthy, they tend to believe that everyone else is as well. My heart goes out to them. Thank God that your daughter realized her ATM card had been compromised. I’m simply amazed at the new scams that pop up daily! We all have to be on our toes, don’t we? Coincidentally, I just finished reading about a woman who cashed what she thought was a “mystery shopping” check and it really was a fraudulent check from someone she never met. She said she didn’t question it much because she thought God had sent her this blessing. It sounds ridiculous to outsiders looking in, but I guess when you’re desperate for financial relief, you’ll do anything that doesn’t appear criminal. Exactly! 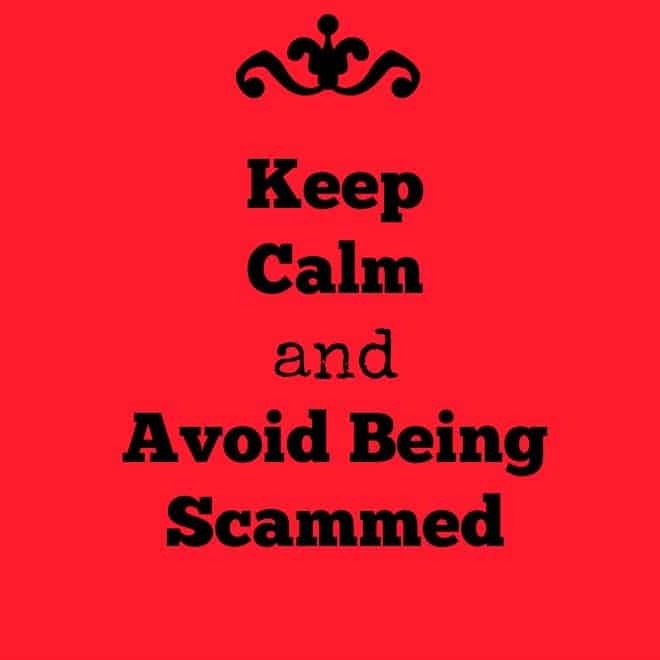 We all want to believe the best in everyone and scam artists are so sophisticated these days that sometimes it’s really hard to spot a scam! I didn’t read all the replies but we need to be extra careful when surfing on the web. I clicked on what I thought was the website I was looking for to find out it was not. My bank called me a little later to tell me they didn’t honor the payment because it was not a legit site. I felt like a fool, because I try to be extra careful.